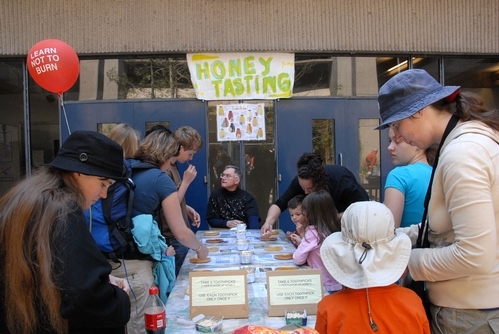 If you attend the 95th annual UC Davis Picnic Day on Saturday, April 18 and stop by Briggs Hall between 10 a.m. to 4 p.m., you'll get a taste of honey. In fact, six tastes of honey. Extension Apiculturist Eric Mussen, a 32-year member of the UC Davis Department of Entomology faculty, will provide six different flavors of honey: Eastern buckhweat, redwood forest, orange blossom, California sage, Northwest raspberry and Georgia gallberry. Here's the procedure: you scoop up six toothpicks, one per honey sample. You dip a toothpick into a container of honey (no double-dipping!) and then you discard the toothpick.. The darker honeys are Eastern buckwheat, redwood forest and Georgia gallberry; medium color, Northwest raspberry; and the lighter ones are orange blossom and California sage. You can almost catch the buzz as you taste the honey. Honey differs in flavor and color, depending on the nectar source (blossoms) that the honey bees visit. 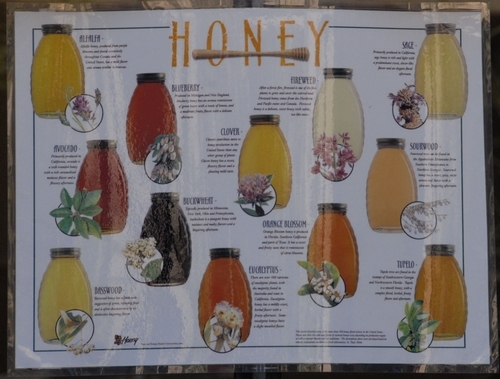 Some 300 different varieties of honey are available for sale in the United States. In general, the lighter the color, the milder the flavor. For more information on honey, visit the National Honey Board's Web site. Questions about bees? Colony collapse disorder? Bee behavior? 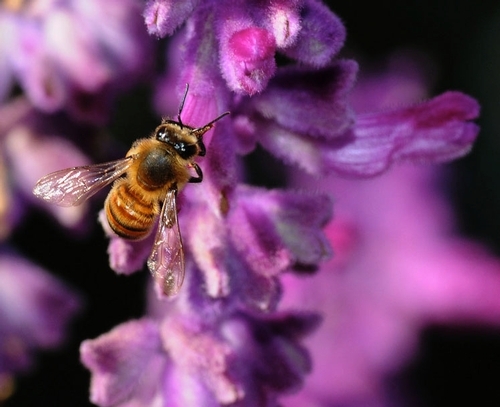 Queen bees, worker bees and drones? Why beekeepers wear light-colored clothing and don't eat bananas before visiting the hive? Mussen will be happy to answer them.